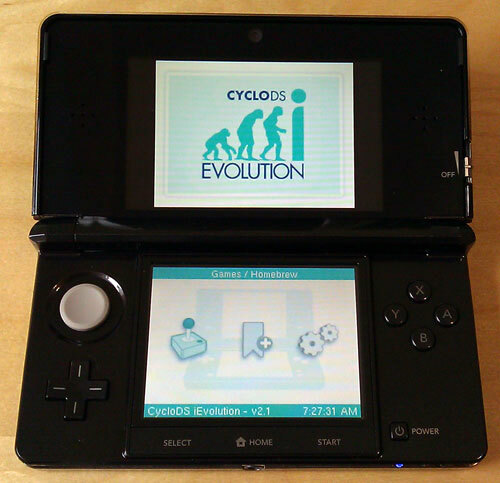 The recently-released CycloDS iEvolution cart has been confirmed to work on the 3DS by the Cyclo team. What's even better is they report it's working in DS mode with the stock bootstrap and 2.1 firmware. Unfortunately DSi mode will not run at this time, as there is no DSi bootstrap for the Japanese region.